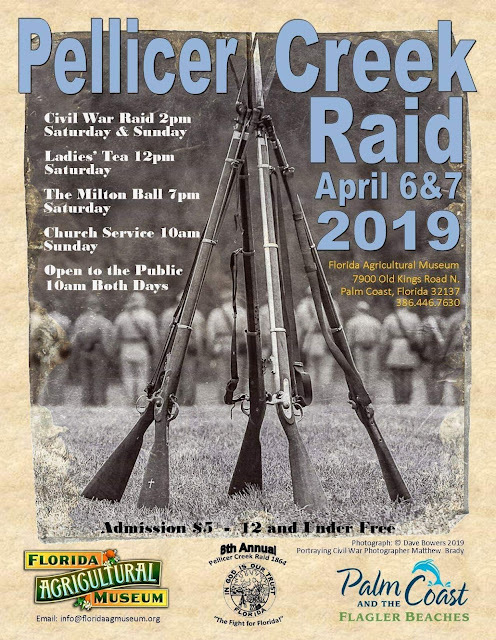 Pellicer Creek Raid will take place April 6th & 7th at Florida Agricultural Museum in Palm Coast. Admission is $5. Children 12 & under are Free.